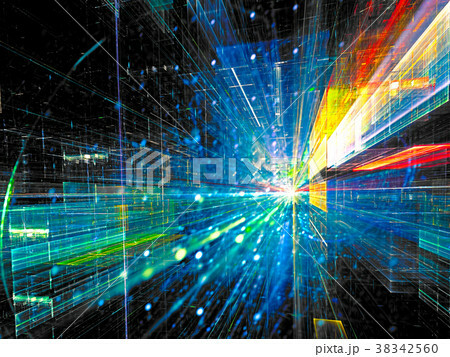 Technology background with perspective and light effects. Abstract computer-generated image - glass tunnel or street of futuristic city. Virtual reality or sci-fi concept.